According to the Breast Cancer Research Foundation, a woman is diagnosed with breast cancer every two minutes in the United States. As one of the most common cancers in the U.S., breast cancer affects about one in every eight women. It also affects about 2,500 men each year. If you or a loved one is battling with or recovering from breast cancer, the specialists at Regional Cancer Care Associates (RCCA) can help. 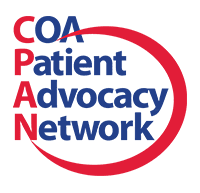 Serving New Jersey, Maryland and Connecticut, we’re committed to offering patients state-of-the-art services and all the information they need to make the best medical decisions. One of the first signs of breast cancer is when a hard lump(s) forms in the breast or the underarm area. For some patients, the lump may be painful and irregularly shaped. However, be aware that not all lumps indicate breast cancer. If you notice a lump, always get it checked out by your doctor. However, because there are many different types of breast cancer and each patient presents differently, keep an eye out for anything that seems unusual. 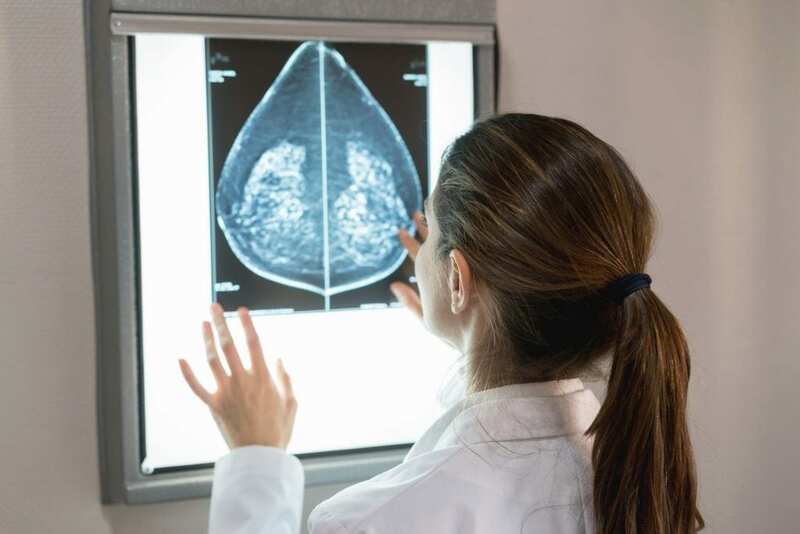 Breast cancer evaluations at home or at the doctor’s office can help catch these symptoms early, but getting regular mammograms is one of the most effective means of detection. Routine mammograms can detect breast cancer in the early stages before any of these symptoms start appearing. Who’s at Risk for Developing Breast Cancer? Age – Incidence rates are higher for women over the age of 50, however, adults of any age can develop breast cancer. Regular mammograms are typically recommended for women ages 40 and up. Family History – Some cases of breast cancer are caused by inherited genetic mutations. If breast cancer runs in your immediate family, you may be more at risk. Birth Control – Research reveals that taking birth control pills can cause a slightly elevated risk. Hormone Therapy – Some post-menopause hormone therapies seem to increase a woman’s chances of developing breast cancer. Pregnancy – While pregnancy itself is not a known risk factor, getting pregnant at an early or late age, or never getting pregnant at all, might contribute to increased risk. Diet and Exercise – Becoming obese as an adult and a lack of regular physical exercise have both been linked to elevated breast cancer risk. This is particularly true if the excess fat is located in the waist, as opposed to the hips or thighs. Alcohol – Drinking more than two alcoholic drinks a day has been directly linked to breast cancer risk in women. If you’re concerned about any of these risk factors, talk to your doctor. He or she can recommend a preventative action plan, when applicable. For women with a family history of breast cancer, genetic testing might be the right approach. Breast cancer is categorized into five different stages with subcategories within each. The stage is important because it is often used to help determine appropriate treatment plans and patient prognosis. The earlier the stage, the easier it is to treat the breast cancer in most cases. Stage 0 – Cancerous, or malignant, cells have started to form in the breast. Stage I – The tumor has grown in size to about 2 centimeters or less. Stage II – The tumor is now between 2 and 5 centimeters and has started to spread to nearby lymph nodes. Stage III – Measuring about 2 inches now, the tumor is continuing to grow and spread to other lymph nodes and tissues. 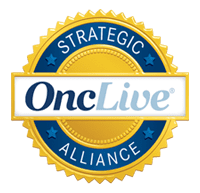 Stage IV – The breast cancer has metastasized to other parts of the body and is no longer confined to just the breast region. Once breast cancer has been diagnosed, doctors will create a personalized treatment plan. 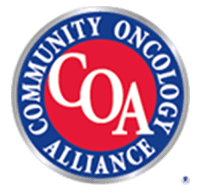 While treatment depends on a variety of factors, most protocols will call for surgery, chemotherapy, hormone therapy, radiation therapy or a combination of methods in order to ensure the best outcome. In some cases, the entire breast will be removed in what is known as a mastectomy. According to the American Cancer Society, over 3 million breast cancer survivors are currently living in the United States, including those who are still being treated. Advancements in screening, care and treatment are giving new hope to patients every day. Even so, battling breast cancer often has a significant impact on a person’s physicality and emotional well-being. Lean on your care team for support, along with your loved ones, every step of the way. Many patients like to join support groups, so they can connect with others who are going through the same thing. When your cancer treatment comes to an end and you enter remission, you’ll be able to return back to normal life. If you had a mastectomy, reconstructive surgery might be a great option for you at this time. Patients will still need to see their doctor regularly to make sure the cancer doesn’t return. Breast cancer patients can seek the most comprehensive, patient-centered care that the area has to offer at Regional Cancer Care Associates. Our network of highly experienced doctors works together to deliver the care and support you need for all aspects of your life. Call your local RCCA office to learn more about breast cancer or to schedule an appointment for a consultation today.